I have seen that Ron Miscavige has written a book, and, out of courtesy, felt it is necessary to put some truth there for you in place of what he says, because I don’t see much truth there now. Any book Ron writes about his life in the Church would be a book about his life as a musician here. That is what he did and that is what he knew. Him stating anything else is a joke. Does a member of the Tonight Show band know the management operations, external affairs and strategic planning at NBC? No. Here is Ron’s actual story, and what his book would be, but I have no idea why you would publish it because no one really cares. 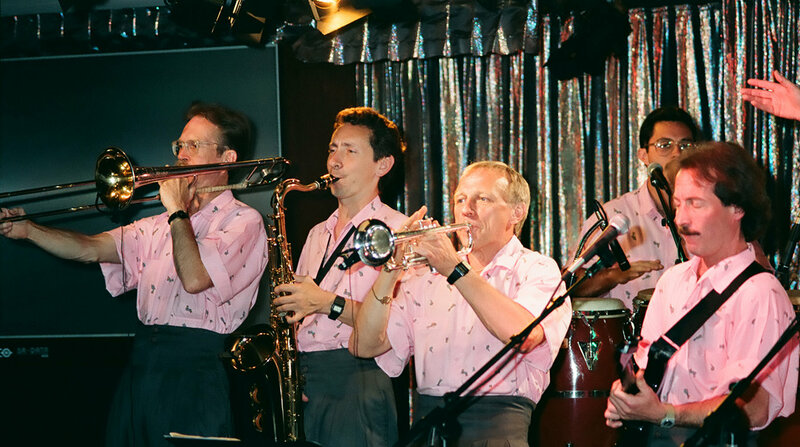 Ron Miscavige was a member of the Golden Era Musicians Band when I joined it in 1989, all the way to the time he took off (without telling anybody) in 2012. As time went on, his playing abilities deteriorated (he was far from perfect in the first place) and he practiced almost never. So with his refusal to practice, any strength, endurance, even tone quality, deteriorated to the point where they were just gone. All playing was just a struggle, and it was a distraction for the other musicians, as he was not up to the same level as the others technically, who were not only holding ground, but advancing. There were music pieces or songs that we didn’t perform because they would require him to practice and learn to execute the music as they were a little more challenging and advanced, and Ron wouldn’t put out the effort to learn them. In fact, he would insist they get cancelled from the repertoire. His music basics were just gone, which he pretended was not the case, and so his scope shrank. For over 10 years, when not playing third trumpet in the band, Ron’s official job was Music Scoring Officer which is over composing and arranging. I rarely saw him operate as such, however. In the last few years he was here, he didn’t work on music for any of the films, documentaries, etc. being done nor on any of the last couple of major events, or do anything that I saw in the way of supervising the scoring of them. His boss stepped in and did his job. On melody writing and arranging, he didn’t expand his knowledge in this area, and so squashed his own ability to contribute, and he became, by and large, ineffective and useless. I’ve played with some of the finest musicians on the planet over the years. One for one they always proudly remained “students” in that they put effort into maintaining and advancing their abilities. I seldom (almost never) saw Ron practicing his instrument. That’s why he became ineffective. He had a long term recurring situation of not doing any homework or research on what needed to be scored but jumped into it, “shooting from the hip” (how he “knew” it should be), and as a result winding up with rejected music that just didn’t work. One thing he would say was that he didn’t know current music and that was the problem leading to many rejects from the Music Director. The real problem was that he didn’t DO anything about it, and didn’t do (or only superficially) the homework on a property to be scored. I helped (others did also) in acquiring for him music examples and scores of various types, for reference, that had been done here, approved, and USED, so he could study these towards producing some usable music. He complained that his music was being rejected without good reason but he would not seek or accept any help to sort it out. The truth is, he actually had a lot of direction from the Music Director, and received special attention in instruction numerous times. But then he would be “caught out” for not doing homework or applying composing or arranging fundamentals, and thus neglecting things that are simply a part of scoring, thus getting rejects. An example of this is that there was an analysis done and written up on 4 successful new Church Openings that actually established some of these fundamental scoring points. Ron was given this, but didn’t use it (though I made sure he got a copy of it) and consequently his work couldn’t be used without major revamping or just re-doing. He talked like a prophet of doom many times saying that he should get another job somewhere else, because he couldn’t contribute, couldn’t get a handle on scoring music in modern styles, or he was too old, and that he was being kept from producing, the connotation being that this was coming from the Music Director rejecting his unusable scores. When he listened to music of one kind or another from recent times, he said none of it was any good. Quite often he would ask me or another fellow musician to help him with his scoring computer (which he never learned to use) saying, “Show me how to do it, or I’ll never learn it.” But he would ask for help on the same things over and over, which anyone could have mastered, if only through sheer repetition. I worked with him right here in the Music Dept. for more than two decades. I’m not interested in having any communication with him now, after he walked out so arrogantly without any comment, and no word from him since—not an apology, thank you, goodbye—nothing. But when I heard what he is doing and saying, I couldn’t help but respond, considering how unbelievable and vast his fantasy is. While he complains about how badly he was treated here, I and the rest of the Music staff witnessed what was really happening. The staff here at Golden Era worked our asses off to help him, solely out of respect for his son, as he sure didn’t treat any of us too well. He took half a day off almost every week to drive to a specialist to get his hearing aid checked and then go shopping. I saw him returning from these trips with bags of groceries and other personal stuff. This was over a period of months. Was he treated badly? No, that is a lie. He actually got special treatment from numerous staff members here because of his family connection. He had the Medical staff servicing him with special doctor appointments and handlings, buying vitamins, etc., much more than any other staff member here. He was treated very well, with extra care just because the people here wanted to see him do well, be productive and happy. We did not want him to be a burden to his son. Despite receiving all this special treatment and care, he was producing close to nothing valuable, and reacted like a sociopath when anyone tried to tell him to straighten up his act or change his ways. It was unpleasant to be around him—not just because of his demeanor, but because he was such a slob in regards to handling his environment and his belongings. I’m not one who gets carried away on the subject of cleanliness and such. I am referring to the gross mess his personal stuff was always in (his composing room, his car), the way he kept his files and equipment, with a total lack of any care. It was irritating to go into a bathroom that had his urine on the floor as he somehow couldn’t manage to clean up after himself, let alone improve his aim so he hit the toilet. It’s an absolute fact that since he left the bathrooms have been clean all the time, without a drop of urine on the floor. I’ve seen him (and he did this to me) pushing people out of the way in an antagonistic fashion if they were passing by him or just trying to get by in a tight space (like in the kitchen). I used to think this was a joke—until I realized there was no comedic follow-up. He actually thought and acted that way—hostile towards others. He was argumentative, and a bully. As I see it, his being Mr. Miscavige’s father eventually worked against him, because no one was quite sure how to get him to straighten up his own ethics. And it’s unquestionable, his ethics and morals were beyond LOW. Lastly, it was so cowardly how Ron sneaked out. My last communication to Ron was a note I left under his apartment door one night on my way home, because of course he had already gone home for the night (he always went home hours early and got extra sleep). I asked him to bring in his wife’s alto flute, which I had earlier refurbished, as it had not been used in years and I thought I could use it in recording. This was a very good instrument—useful in the studio because it played in the next lower pitch range from a regular flute. Ron was keeping that instrument at home, and he said to just let him know when I needed to record with it and he would bring it in. The next day was the day he didn’t show up for work and we never saw him again. The point here is that Ron repeatedly commented that the Instrument Storage Room in the Music Department was not a safe place to store your instrument, so he kept that one at home. What a coward. He said nothing and just took off. He could have been a man, told us the truth and left at any time. The Instrument Storage Room is where ALL of the musicians store their instruments. The rest of us have valuable instruments that we want safe. For example, I have several specialized instruments worth thousands of dollars that I don’t frequently record with but which need to be protected AND readily accessible. These are kept in the Instrument Storage Room and are THERE (and have been there for years) where I can get them and use them whenever I need them without fear that they’ve been damaged, lost or whatever. But the Instrument Storage Room is not a safe place to store your instrument? I don’t think so. Obviously, Ron was busy scheming and planning his departure all those months earlier; and by keeping that instrument at home, it would be handy and ready to travel. What a coward. He said nothing and just took off. He could have been a man, told us the truth and left at any time. He lied, however, in fact, just like he is doing now. A standard practice in the professional music world (or any professional job) is to give notice on leaving a job—you don’t just take off. I recall once, during the decade or so that I worked in Las Vegas, when I was playing for a successful show, I was invited to play a leading part in the orchestra in the showroom at a different, more major hotel. I gave proper notice, so the director could find a replacement, and the cast and crew of that show gave me a festive sendoff with best wishes–and no lack of friendship. Ron couldn’t be bothered with those niceties. He was mutinous and obstinate to the bitter end. He never even bothered to send us a note after he left. The band and actually the whole Music Department has come up in level quite a bit since he left. Not just because the time we used to spend dealing with his nonsense is now available for actual production, but that his supremely negative influence is long gone, and the whole Music Department feels that change. There is a big bunch of dedicated, real people here, who were his friends. We are intent on our jobs, and are not going to be distracted by “cur dogs yapping at our wheels,” spreading fabrications about this place or the leader of our religion.